Gostje ocenili po koncu bivanja v nastanitvi Boutique Apartments Sofia. Big beautiful balcony. Stairs to the roof top. No neighbours, just squirrels in the trees. The bed is big and comfy. Тhe host was very nice to give us some extra things that we needed, during our stay at the hotel. Great location, the nearest metro station can get you to the Central Bus Station and Airport Terminal 2 for one hour only. The location is very good. The WiFi is excellent. The apartment is nice and clean. The lady handling the reservation was fantastic, both when I was asking questions by mail before booking and when we arrived. 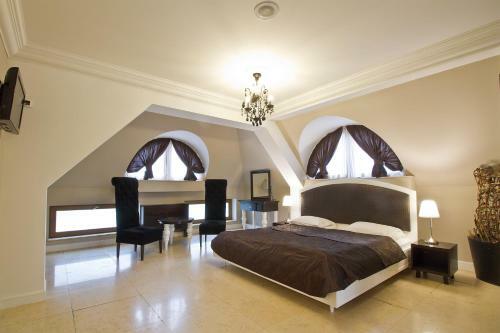 This appartment is truly worth the money they are asking: it is huge, I would say 70 or more square meters. Extremely comfortable and better equipped than 99%: everything one can need in a kitchen (plus very good ingredients supplied), TV and high quality hifi etc. Nice decor. 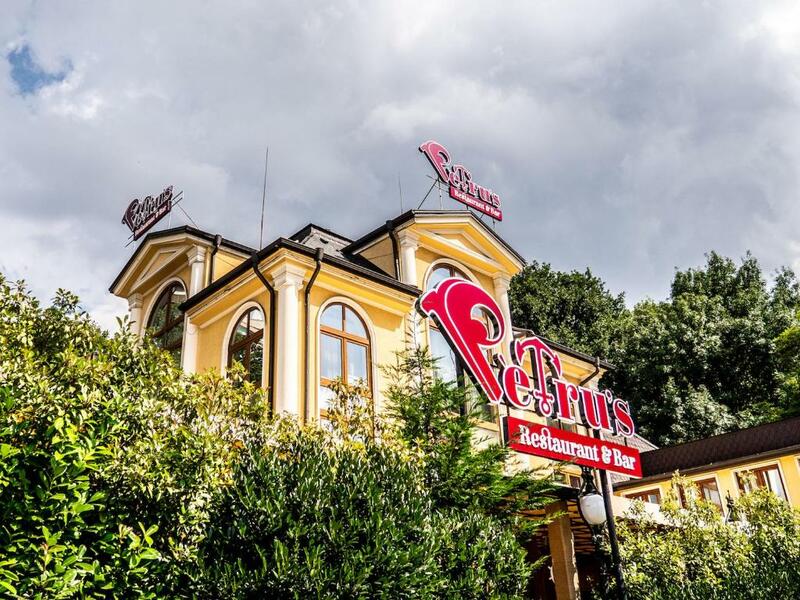 The apartments (they have two) are in a small building only housing a fancy restaurant called Petrus. It's in a poor location and I wouldn't recommend it for people exploring on foot. Although we had asked for early check in, it didn't happen because the property is only staffed at normal check in time. The spa and AC were appreciated. The staff were able to help us organise other accommodation bookings later in the trip which was appreciated as we don't speak Bulgarian. Word to the wise - avoid the restaurant downstairs, their beverages are extremely expensive and they pretend not to speak English when it's inconvenient for them to deal with you. Looked exactly like the pictures. 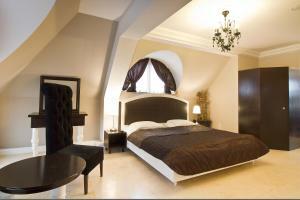 Very large cosy room with a fireplace, large balcony, dressing room and whirlpool bath tub. We arrived in the middle of the night. Having pre-warned the landlady of this she gave us simple instructions on how to pick up the keys (as the reception was closed). The location is a 10 min walk to the nearest metro station and then only 2 stops to Serdika (the city’s central station). מיקום טוב 10 דקות מהמרכז, פרטיות, מרפסת נעימה, מיטה נוחה, אינטרנט מצוין יש חנייה בחינם. יחידת דיור גדולה ומסודרת. Отличные, просторные апартаменты со всем необходимым. На мой взгляд лучший вариант размещения в Софие. Восхитительный ресторан при отеле. 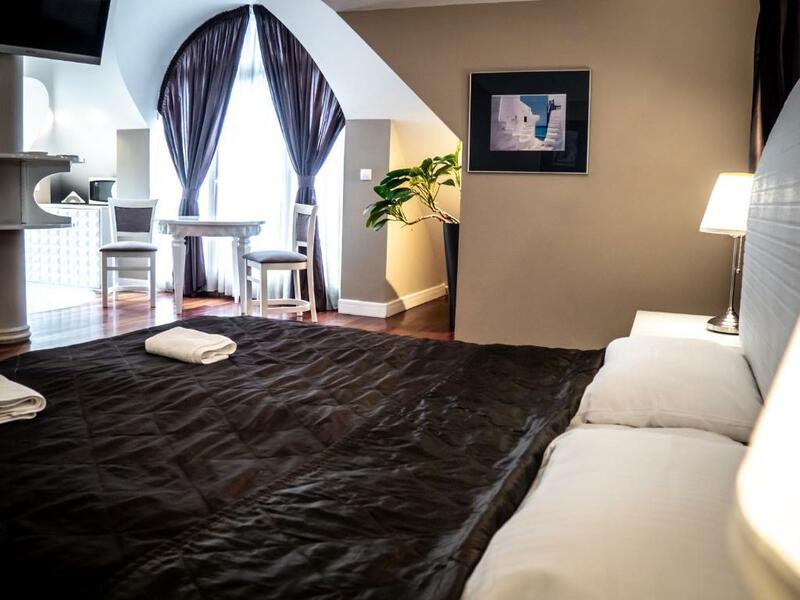 Zagotovite si odlično ceno v nastanitvi Boutique Apartments Sofia - gostje so ji podali oceno 9,1. Boutique Apartments Sofia enjoys a quiet location just 1.2 km away from Sofia’s city centre and Vitosha Boulevard, pedestrian street with bars and shops. 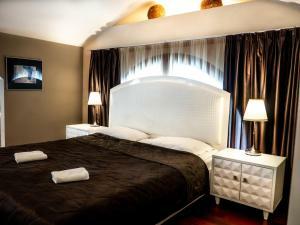 It offers luxurious accommodation with air conditioning, a fireplace and free access to Wi-Fi. A restaurant, serving sushi and European cuisine is available. Each studio and apartment has a large seating area, a cable flat-screen TV and a DVD player. The kitchenette is equipped with kitchenware and a microwave. Bathrobes, slippers and a hairdryer are available in all private bathrooms. Free parking is possible on site. Nearby the property there are a metro and a bus stop. 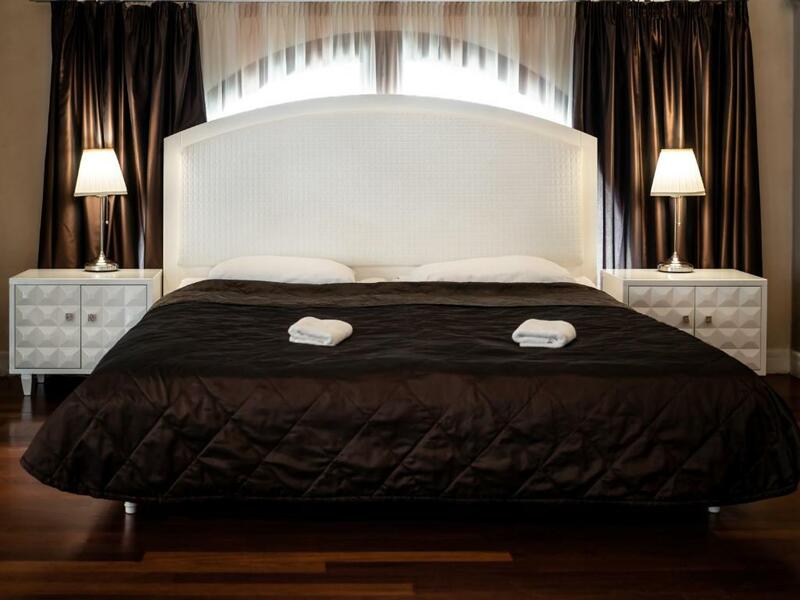 Boutique Apartments Sofia features laundry service and organizes airport shuttles. The airport can be reached in about 20 minutes by car. The National Palace of Culture is 2 km away. The Parliament, National Theatre, Russian Church and the Alexander Nevski Cathedral are all 3 km away. A bus station can be found close by, and Vasil Levski National Stadium is 1.5 km from the hotel. Lozenets - Odlična izbira za popotnike, ki jih zanimajo nakupovanje, nočno življenje in muzeji. Boutique Apartments Sofia gosti Booking.com uporabnike že od 1. jun. 2011. Primerno za pare – za bivanje dveh oseb so storitve prejele oceno 9,4. Kdaj želite prenočiti v nastanitvi: Boutique Apartments Sofia? Features a combined living/bedroom with a fireplace, a terrace with park view and a bathroom with a spa bath. Features a bedroom, a living room with a fireplace, park view, a kitchenette and a bathroom with a hydro massage shower. Please note that only one extra bed is possible in this room. Park view is available from the room. 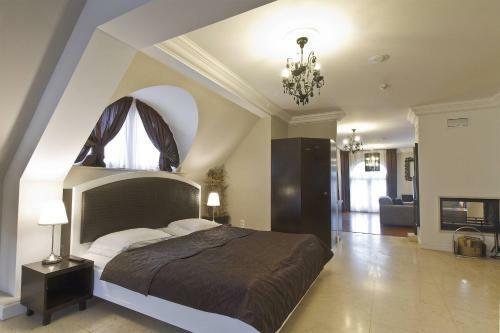 Consists of a bedroom, a living room with sofas, a kitchen, a small balcony and a bathroom. This apartment is situated in the central section of Sofia, on Vitosha Boulevard and Verila Street. 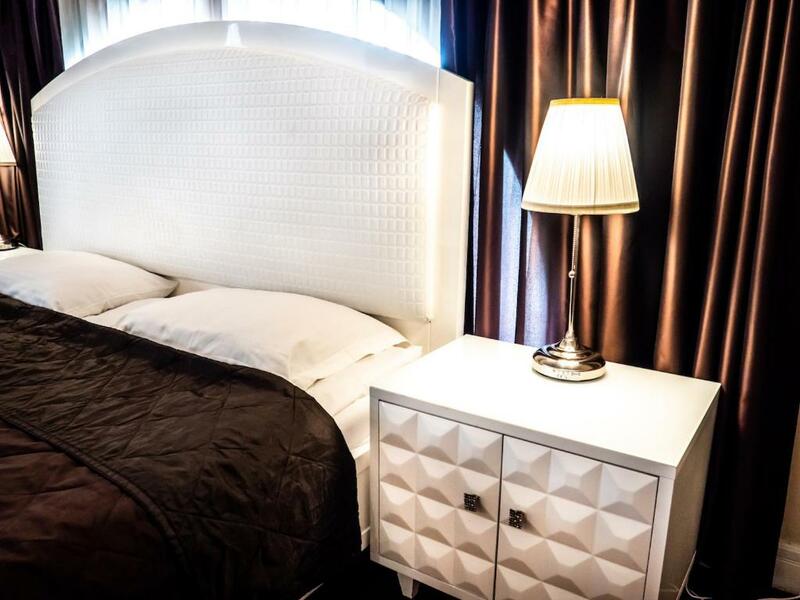 Hišni red Boutique Apartments Sofia sprejema posebne zahteve - dodajte jih v naslednjem koraku! Boutique Apartments Sofia sprejema te kartice in si pridržuje pravico do začasnega zadržanja sredstev na kartici pred vašim prihodom. Nastanitev Boutique Apartments Sofia vnaprej obvestite o predvidenem času prihoda. To lahko med rezervacijo vpišete v okence za posebne zahteve ali pa kontaktirate nastanitev. Kontaktni podatki so na voljo v potrditvi rezervacije.